After issuing a circular that sought to clarify taxes on valuations, the CBDT withdrew it following a Congress party press conference at which it said the move would exonerate Rahul and Sonia Gandhi over income-tax liabilities in the Associated Journals Ltd case. The CCI has sought details from Samara Capital on the role of Amazon and how the proposed deal by them to acquire the More chain of supermarkets from ABRL is in line with the government’s revised FDI policy in e-commerce. 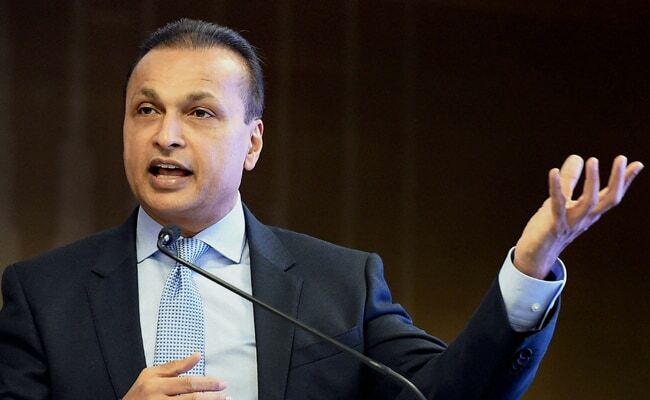 The Supreme Court issued a notice to RCom chairman Anil Ambani over the company’s failure to pay dues worth ₹550 crore to Ericsson and also refused to exempt him from personal appearance in court at the next hearing. The union cabinet passed a Constitutional Amendment Bill to give 10% reservation to the economically backward sections of society, over and above the 49.5% quota in place for SC, ST and OBCs. The NSE announced via a circular that weekly options contracts on the Nifty index will be made available for trading in the F&O segment with effect from February 11. The SC reinstated Alok Verma as the CBI director after he appealed against the Centre’s decision to send him on leave. However, Verma would not be able to take any policy decisions until a high-powered panel took a call on the move to divest him of powers. The Budget Hotel Association of Mumbai has formed a pan-India association called Hotel Association Confederation of India and is planning a city-wide boycott of OYO. OYO has been under fire for deep discounting and arbitrary contract changes. The tax department has increased demand on advertising, marketing and sales promotion (AMP) expenses of multinationals by about 15%. The department says the AMP spend for promoting the global brand and not local products and hence should be subject to tax. Billionaire Jeff Bezos, founder and chief executive of Amazon.com Inc, and wife MacKenzie Bezos are divorcing after 25 years of marriage, the couple said in a joint statement on Twitter. The Supreme Court has allowed Aircel employees to file a contempt case against Bharti Airtel, its unit Bharti Hexacom and the telecom department for not returning ₹453 crore to the company as ordered by the apex court. Raymond Group promoter and chairman Gautam Hari Singhania said he will step down as chairman from all group companies and dissociate himself from day-to-day functioning. Royal Dutch Shell has completed the acquisition of Gujarat-based Hazira LNG and Port Ventures from French energy major Total Gaz Electricité Holdings. It acquired a 26% stake for an undisclosed amount. IndusInd Bank reported a rise in net profit for Q3 of 5% to ₹985 crore, from ₹936 crore a year earlier. This has been attributed to fee and trading income, although its provisions for likely losses jumped due to loans to IL&FS. The prime minister-led three-member panel removed Alok Verma as director of the CBI, barely 48 hours after he was reinstated by the Supreme Court, on charges of corruption and doubtful integrity as per the findings of the Central Vigilance Commission. The GST Council approved a series of measures aimed at benefiting small businesses, such as a doubling of the exemption threshold to ₹40 lakh and an increase in the turnover limit for service providers looking to avail the composition scheme to ₹1.5 crores. TCS reported a Q3 result with revenue at ₹37,338 crore and the net income of ₹8,105 crore. The increased costs of hiring employees and sub-contractors in the United States has hurt its margins. Hospitality firm OYO on said it would take strict legal action for breach of contract against any hotel on its platform that boycotts bookings under the influence of small vested interest groups. For Q3, Infosys reported revenue of ₹21,400 crore while margins dropped to 22.6%. The board of the company approved ₹8,260-crore buyback and a special dividend of ₹4 per share, as it made good on its promise to return as much as ₹13,000 crore to shareholders in FY19. Alok Verma, who was removed as director of the CBI, quit government service after refusing to accept his posting as director-general of fire services, civil defence and home guards and defending himself against bribery accusations. Ashok Chawla resigned as chairman of the NSE “with immediate effect in light of recent legal developments”. This followed reports that he was among those that the government had allowed the CBI to proceed against in the Aircel-Maxis case. Digital payments company Amazon Pay has received ₹300 crore in fresh funding from its parent, Amazon. The investment comes in the wake of increased competition from homegrown payments rivals Paytm and Phone-Pe.